The ability to get up when knocked down and persevere through adversity is a trait required by athletes in all sports. It’s a quality that Steven appreciates, which is why he’s such a huge fan of the 2011 St. Louis Cardinals. 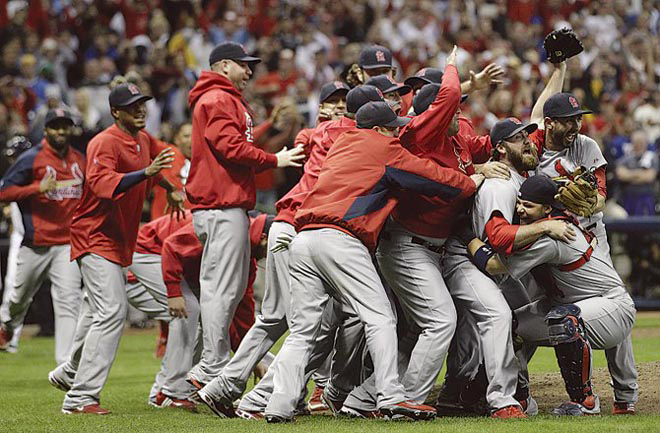 On Sunday night, the Cardinals completed one of the most unlikely journeys ever to reach the World Series. Steven has closely followed the Cardinals’ journey to the NL Pennant. In early September, even making the playoffs looked bleak for the Cardinals. They sat 8.5 games behind the Atlanta Braves for the NL Wild Card spot with just 21 games to play, a daunting deficit to overcome in baseball. But entering the final week of the season, that deficit was down to 1.5 games. The race came down to the final day, all even, each team with a record of 89-72. The Cardinals took care of business first, winning 8-0 in Houston. They were left glued to their seats in the clubhouse waiting for the Braves and Phillies to finish up. Steven was at home, watching right along with them. Atlanta went to extra innings with the Philadelphia Phillies, but allowed a run in the 10th and failed to score in their last at-bat, sending St. Louis to the playoffs.